Funny Money Riddles for counting change. Here you will find 11 activity sheets that start out easy and progressively get more difficult. 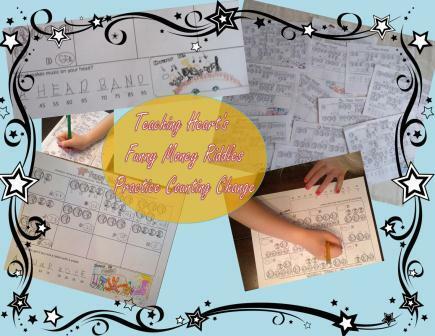 I created these to be used in first and second grade to review and practice counting coins. Students enjoy getting the answer to the riddle and then illustrating the riddle in the box! You can use these in the classroom or at home for extra practice of counting change.